After being an owner of Smartphones, now it’s your turn to own a Smart Car. Wouldn’t it sound great if you could use your favorite mobile apps on Car's dashboard display? Yes! You heard right.. Google has tied-up with several Auto manufacturers with the goal to bring Android to Cars with built-in controls and hardware by the end of this year. Google has announced at the CES technology trade show in Las Vegas, the Open Automotive Alliance (OAA) will achieve this with their partners i.e. General Motors, Honda, Audi, Hyundai and chipmaker Nvidia. This new project is designed to accelerate innovation in the Automotive sector, with the customized version of most popular mobile platform 'Android' for Cars, that will bring Google Places, Maps, Voice, Earth and developer support to cars. "This open development model and common platform will allow automakers to more easily bring cutting-edge technology to their drivers, and create new opportunities for developers to deliver powerful experiences for drivers and passengers in a safe and scalable way." Press release says. Google is working with United States National Highway Traffic Safety Administration to ensure the safety of drivers using Android features in their cars. To Boost the processing power of the system, Nvidia's Tegra K1 quad-core processor will be deployed. Android and Security issues: The Android Car will be a full fledged node in the Internet which will give enhanced flexibility and functionality of services but at the same time we will most probably face all the threats that are channeled through the internet. Thousands of Road Accidents have occurred because of Mobile usage during driving, but now we have Mobile based Cars, so the security of the driver will now depend upon the smartness of the applications installed. 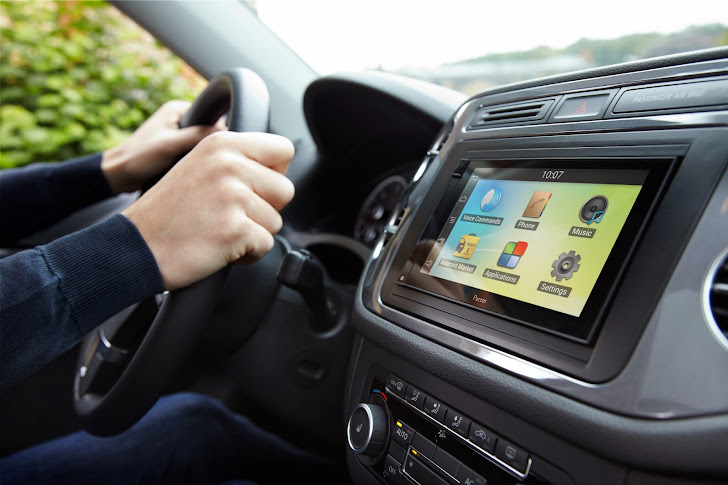 The car's Android system can be hacked if it's linked to the owner's Smartphone. There will be no doubt if we will see something like "Rooting your Cars" soon. Also Malware is another factor that can pose a serious security issue to life. According to various threat reports, Android is the majorly vulnerable to hackers and malware because of its own weak architecture. Also, it is already proven that an android device can be converted into a Spying bug using a simple malicious application, that can record the surrounding conversation via microphone to upload it to the hacker's server. Another Major concern is that, Google is a U.S based Company and all FISA Secret orders are again applied on this project too. Will Google be able to stop National Security Agency (NSA) for backdooring our privacy and Security while driving. So, Google should consider applying all available Security & Privacy measures on these future' Smart Cars to defend against cyber attacks and NSA.